I’m on my way to Australia so there won’t be anything from me for a few weeks. But my friend Museum Mutt has agreed to sub, with a post on the Shenandoah. 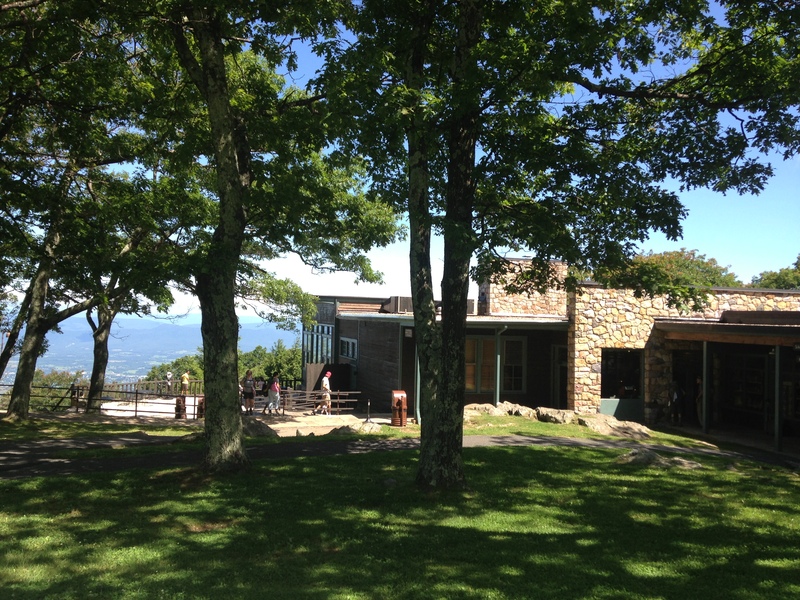 Skyland is a hotel and resort in Shenandoah National Park that predates the park itself, which was founded in 1935. Situated at the highest point of the park, it offers spectacular views of the valley below. It was founded in 1895 by the young George Freeman Pollack as a summer resort for city dwellers. His father was a principal stockholder of the Miners Lode Copper Company, that owned the land which became Stony Man Park Preserve and the future Skyland. 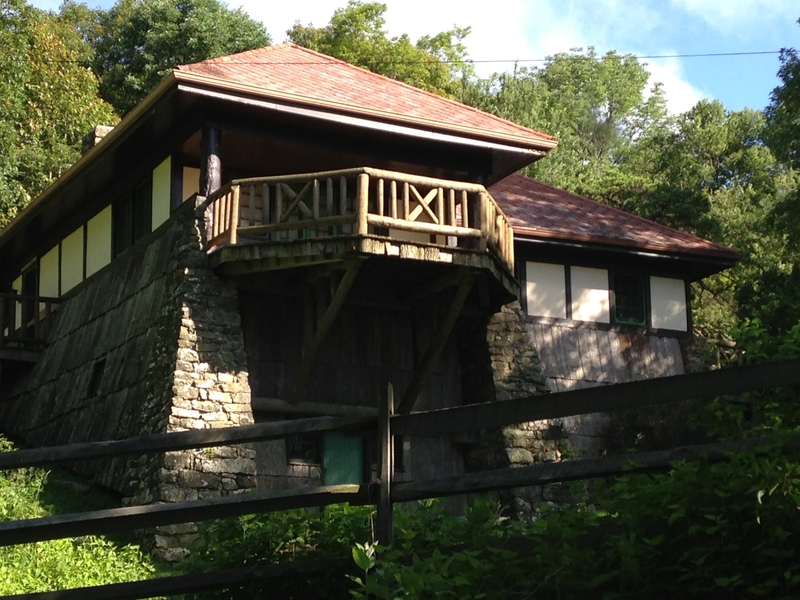 Over the years Pollock sold lots and built cabins and resort structures some of which remain at Skyland today. Because of its close proximity to Washington, DC, it is a favorite spot for Washingtonians. 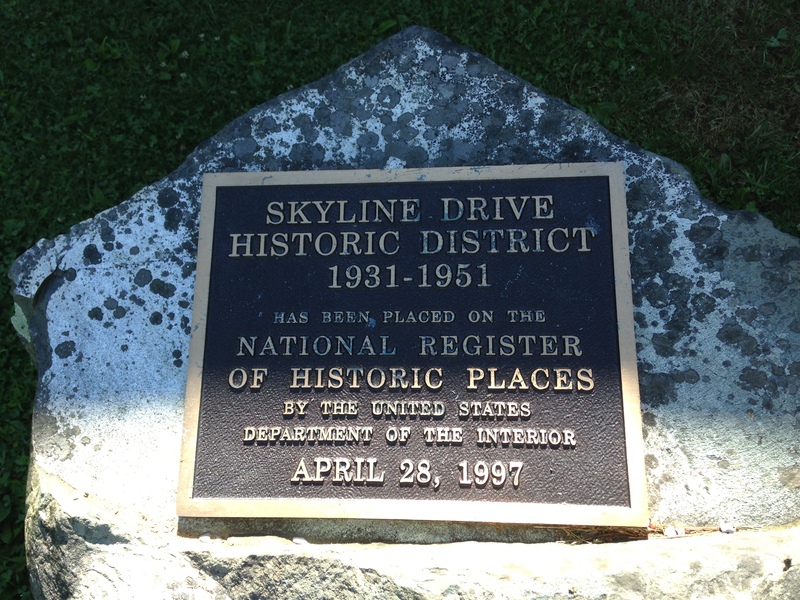 I love the outdoors and history and Skyland has been one of my favorite places for years. I also happen to live within a couple of hours from the Front Royal, Virginia entrance of the Park which makes it a very attractive weekend getaway. In the past, vacationers could expect to be entertained with teas, costume parties and jousts. Today, visitors can enjoy hiking, horseback riding and relaxing mountain views. 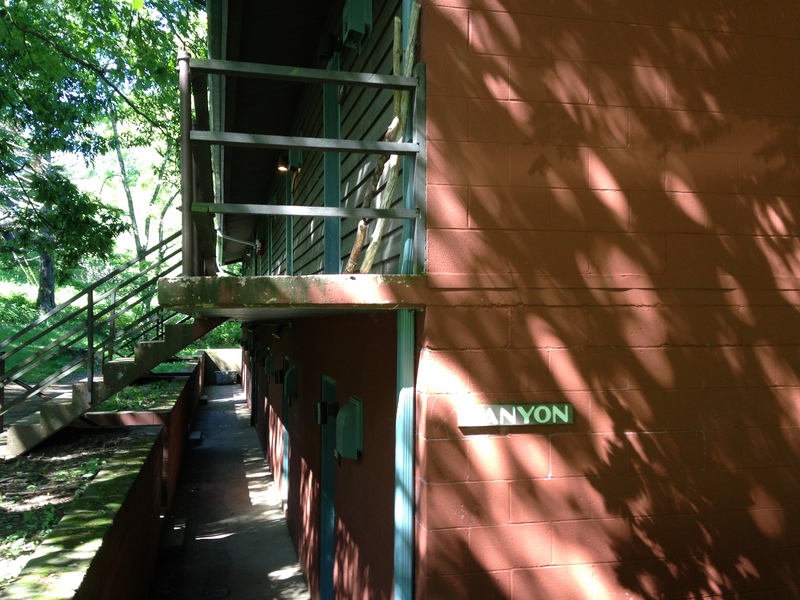 Skyland still has the same rustic feel today and offers traditional motel rooms or cabins such as the Trout Cabin and Canyon Lodge. 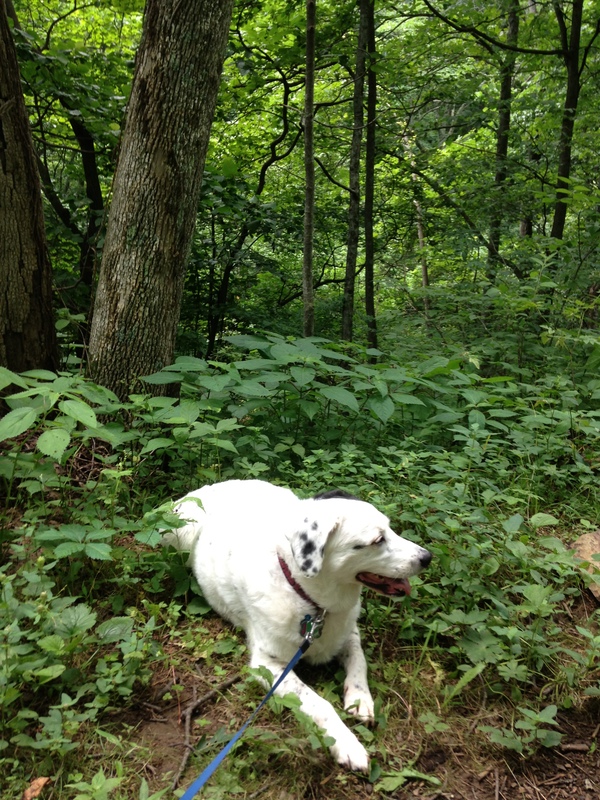 Because Skyland allows dogs in designated rooms, I always take my favorite companion Daisy with me. She seems to enjoy it as much as I do. 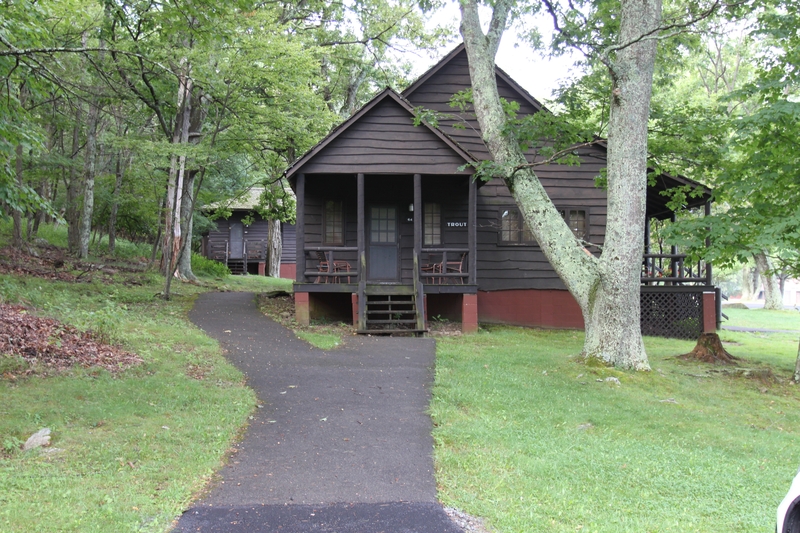 Canyon Lodge is also situated next to Massanutten Lodge, which today contains exhibits on the history of the resort but once served as the home of Addie Nairn Pollock, George Pollock’s wife. Check the Park’s schedule for the ranger interpretive tours and visiting hours. Before and during your stay in Skyland be sure and visit the Visitors Center for up-to-date information on activities at Skyland and throughout the Park. The Visitors Center also has a bookstore/gift shop and restaurant. During nice weather sit out on the patio and enjoy the views that visitors have appreciated for over a hundred years. 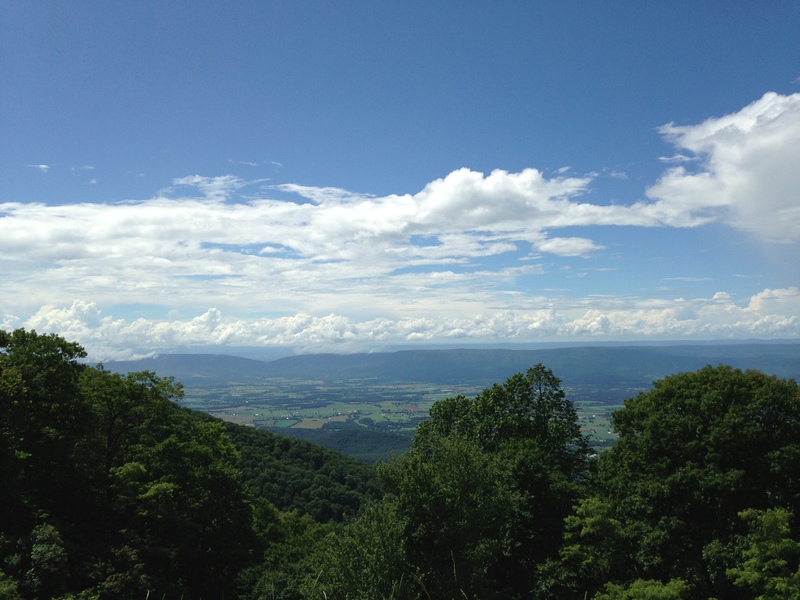 Gallery | This entry was posted in Virginia and tagged Shenandoah, Skyland, Skyland Drive. Bookmark the permalink.